The main theme of this chakra is perception. It relates with our ability to connect to the inner voice of our soul, the part deep within us where true 'knowing-ness' occurs. When this energy center is blocked or unbalanced, you may lack imagination or have nightmares. You may have difficulty concentrating or 'seeing' your life vision. When this energy center is balanced, you will develop strong intuition and insight. You feel clear, inspired and imaginative. You can recall your dreams easily, and you begin to see a clear vision guiding you on your life path. 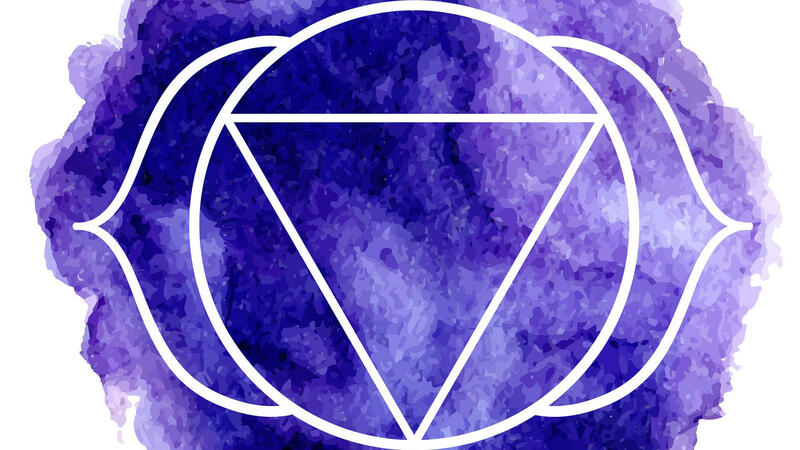 The essence of this chakra is to help you tap in to your intuition and inner knowing. Trust Your Intuition - Let you intuition guide you for a full day. Ask this Question - When was the last time I tapped into my intuition? Wear the Color Indigo - Either in clothing or jewelry or put a crystal in your pocket like purple fluorite, amethyst or azurite. Use Essential Oils (follow directions and guidelines for use) - Use oils like lavender, jasmine or clary sage. You can also find blends already made for the chakras like here at Plant Therapy. Dream On - Let your imagination flow and write about what you would consider a perfect day. Keep a dream journal by your bed to jot down the dreams you remember upon awakening. Maybe even write about what insights your dreams reveal to you. Meditation - Meditate on the energy of your 3rd-eye chakra in the sacred space you created and/or visualize an indigo lotus flower or ball of energy extending out from your 3rd-eye center. Ask For Guidance - Try asking your inner 6th sense for guidance when needing to make a decision. Yoga - Of course yoga! Try keeping your inner gaze at the 3rd-eye while you practice a couple sun salutations with your eyes closed or with a soft gaze. Try Balasana, (Child's Pose), allowing your 3rd-eye to rest on the mat or a block or on your hands. Try Apanasana, (knees to chest pose), while lifting your head toward your knees. Pranayama - There is a great breathing practice for this energy center; Nadi Shodhana. This breathing technique allows for the flow of the breath through both hemispheres of the brain while calming the nervous system. Chant or say the seed sound (silently or out loud) of this chakra which is Sham. As you begin to become more aware of the 3rd-eye energy center, Ajna chakra, you will begin to see more clearly through the eye of your soul. Know that you have the deep wisdom inside you to see through illusion, allowing your true personal vision to emerge. You will begin to trust your intuition. Acknowledge that you are cultivating the awareness to hear the whispers from deep within your soul and the ability to tap into the limitless abundance of your own insight and intuitive wisdom. Ps. Becoming aware of the chakras is a process and a practice. Remember to be kind to yourself as you are discovering some of the areas in your life or aspects of yourself that you are not that thrilled with. 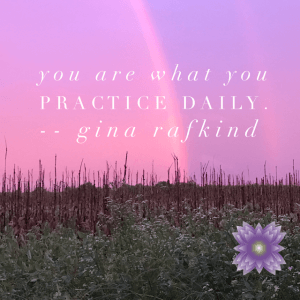 Realize that you are learning about a way that you can begin to shift those areas and aspects that will help you become the kind of person you would like to be.